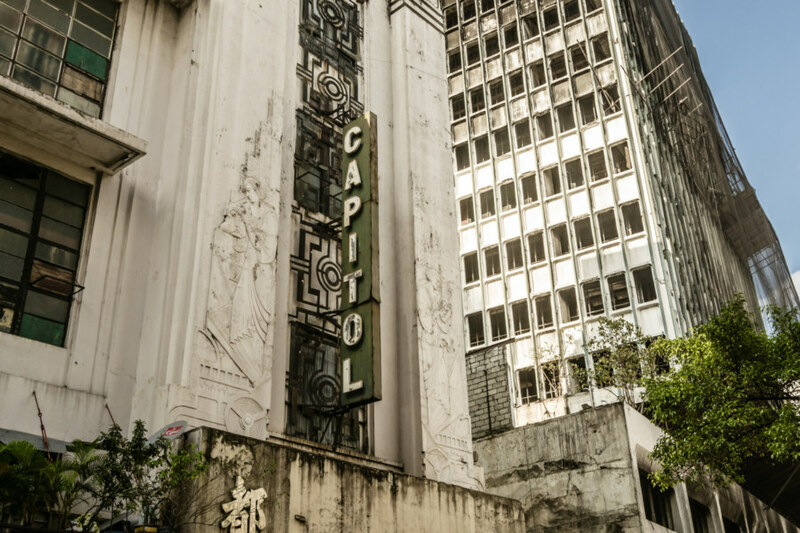 Capitol Theater, Escolta Street, Manila. 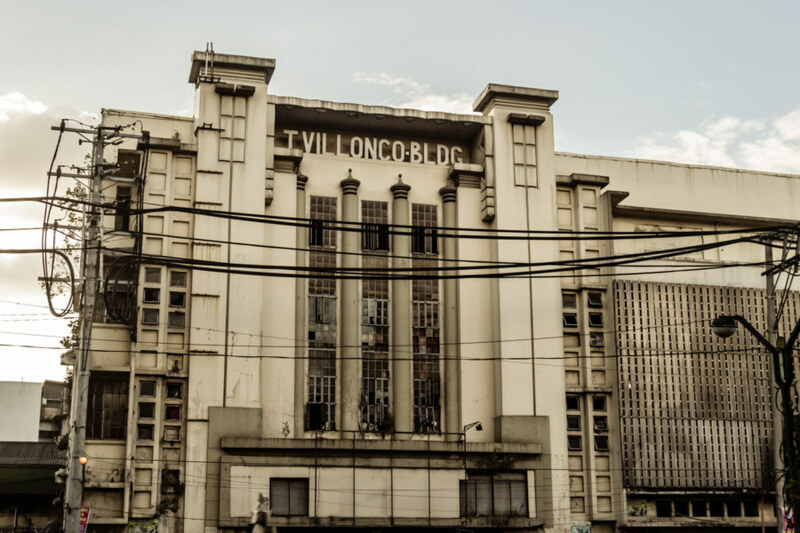 During my weeklong trip to Manila late last year I ventured into Binondo and Quiapo to check out some of the famous old Art Deco buildings in the area. 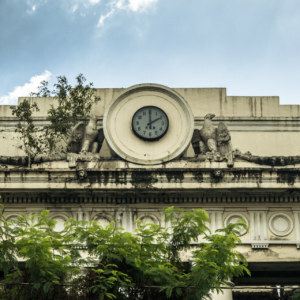 Along the way I also visited Paco Railway Station (entirely by accident) and the Manila Metropolitan Theater. 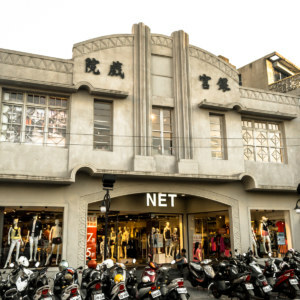 Presented here are an assortment of other pre-war buildings from the early 20th century, annotated with links to more information. 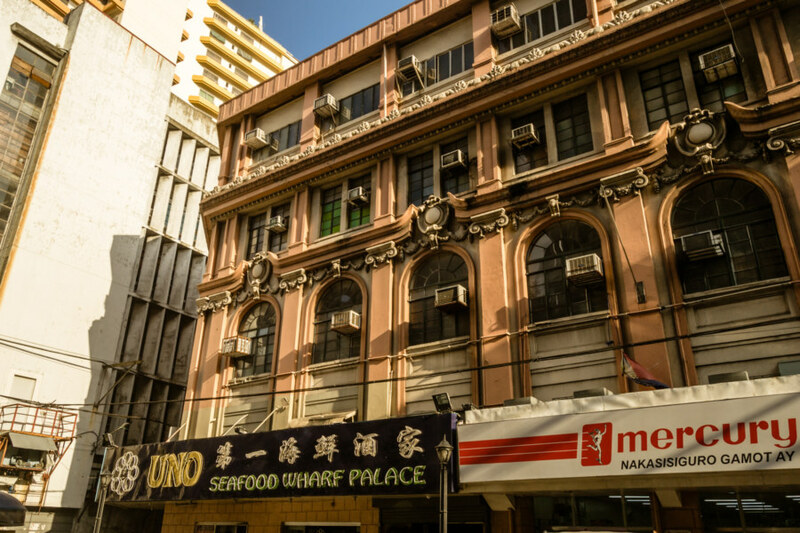 First United Building, also known as the Perez-Samanillo Building, in Binondo. 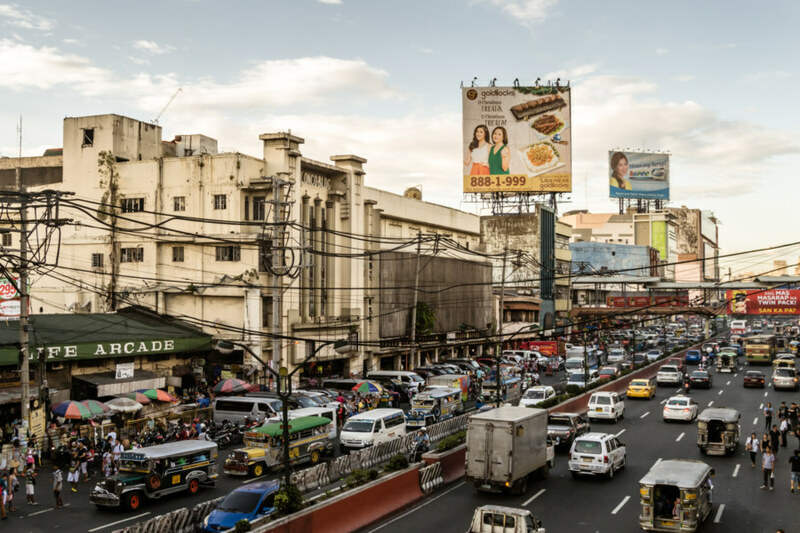 I started my walk by cruising down Escolta Street, formerly the booming heart of the financial district. 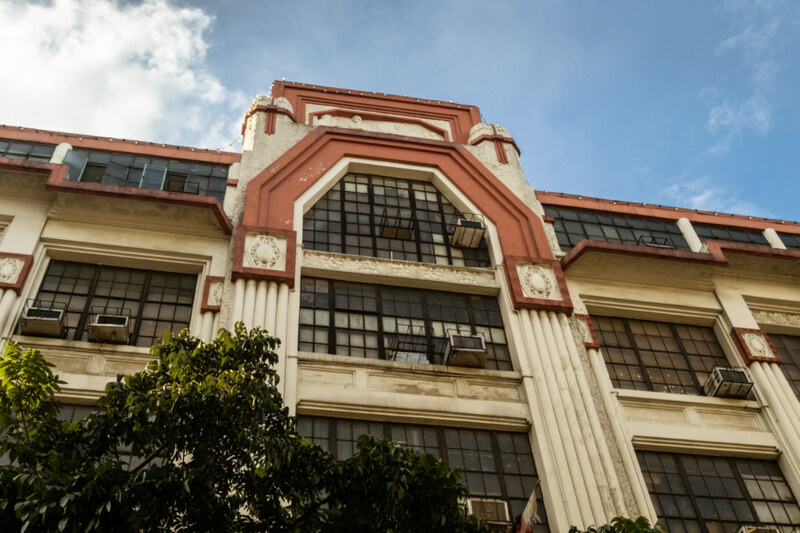 Here you will find the First United Building, also known as the Perez-Samanillo Building, completed in 1928 and once the tallest building in Manila. 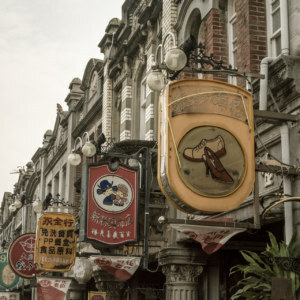 Outside the historic Capitol Theater on Escolta Street, Manila. 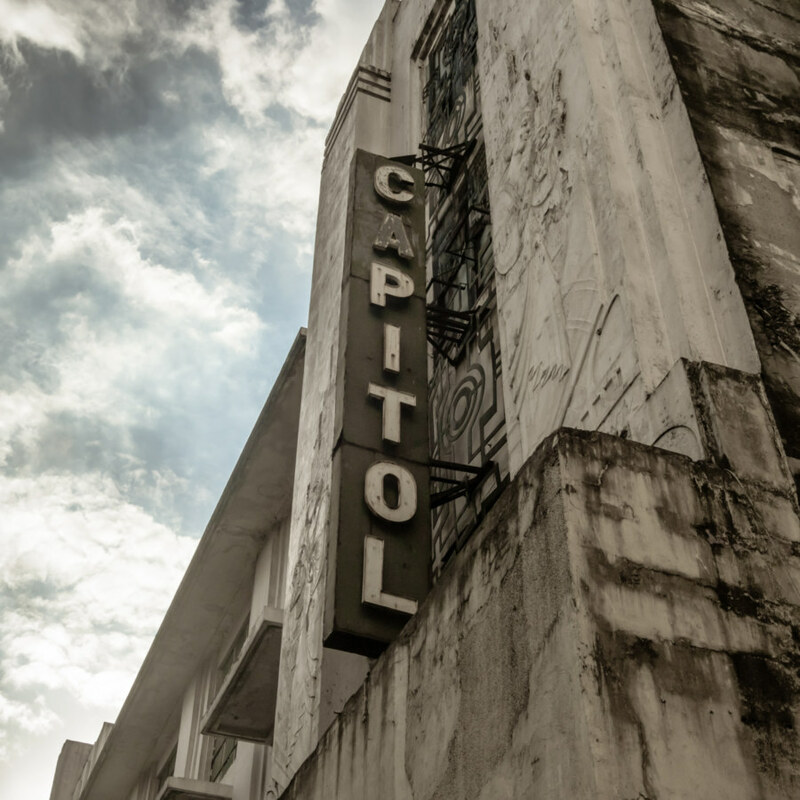 Designed by nationally-renowned architect Juan Nakpil and built in 1935, Capitol Theater is the first Art Deco theater of Manila I found out about so I made an effort to see as much of it as I could. 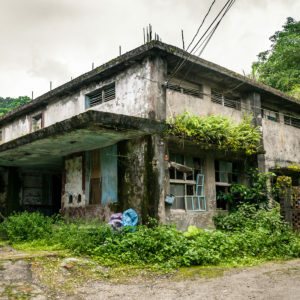 It is abandoned but I could not find a safe way of gaining access. 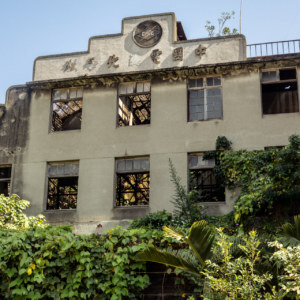 Actually, there was a guard out front when I walked by, and he politely informed me there was no way inside and nothing to see anyhow. I somewhat doubt that but wasn’t about to argue. Whatever the case, it is a gleaming example of retrofuturism in one of the most rundown quarters of the downtown core. 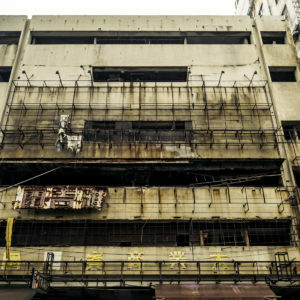 One last look at the Capitol Theater and a fire-damaged building beyond. The Calvo Building just across the street from Capitol Theater. 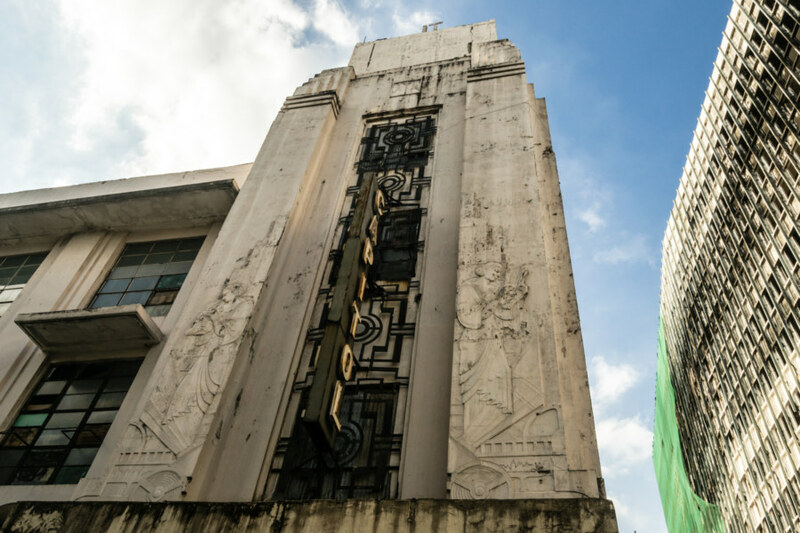 Just across the street from the Capitol Theater one will find the Calvo Building, built in 1938 in a Beaux-Arts style by architect Fernando Ocampo. Read more about this building here and here. 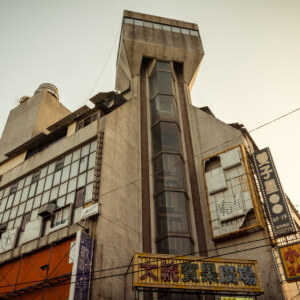 Life Arcade and the Teofilo Villonco Building. 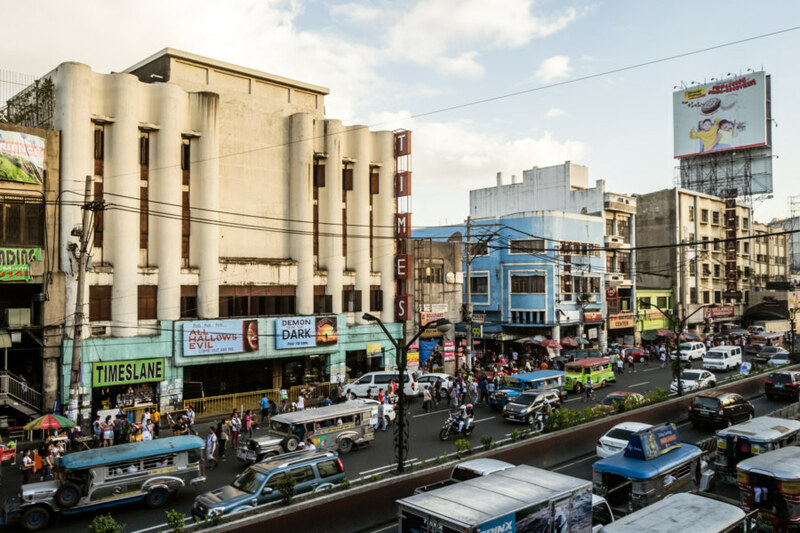 Moving eastward out of Binondo and into Quiapo proper we find two more theaters along Quezon Boulevard. 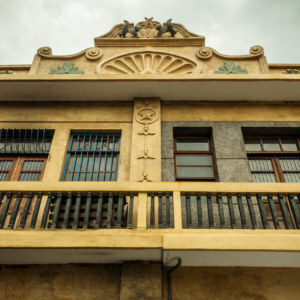 The first of these is the old Life Theater, now known as the Teofilo Villonco Building. 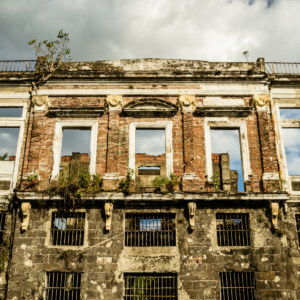 Built in 1941, destroyed in the war, and rebuilt in 1946, the Life Theater could accommodate an audience of nearly 1,200 before it was abandoned in the 1990s along with most of the other remaining stand-alone theaters of Manila. 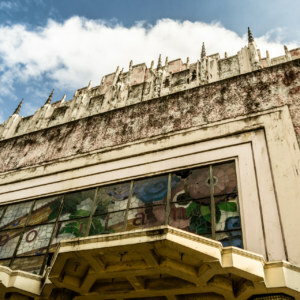 Finally, opposite the Life Theater one will find the 800 seat Times Theater, designed in an Art Moderne style by Luis Z. Araneta and completed in 1941. 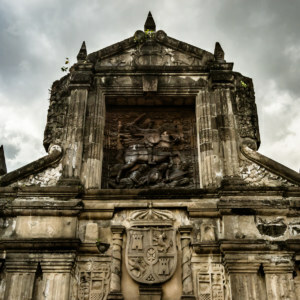 This theater is still in operation—apparently the only old theater of downtown Manila still showing pictures—but is known more for cruising than cinema nowadays.